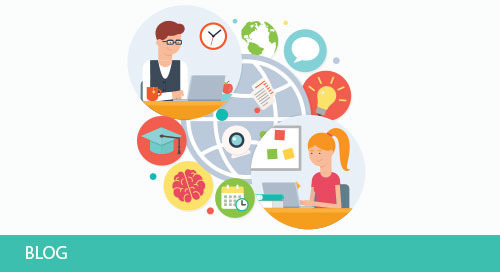 A recent study revealed that parents, because of their engagement with online learning programs through work and degree studies, are eager to see that their children are offered similar types of blended learning environments. The D9 Online School in Eagle Point, Oregon is one example of the rapidly growing online school market that provides alternative learning environments to students. D9’s growth has been particularly dramatic with enrollment in the online learning program increasing tenfold in the last four years. At a state-wide level in Oregon, enrollment in online learning programs has nearly doubled in the same period. Students, parents, and teachers alike appreciate online learning environments for their ability to cater to the specific needs of each individual student and allow them to set their own pace of learning. This enables students to accelerate their learning in areas of proficiency, but also invest extra time in areas where they face learning challenges. To learn more about the experience of students at the D9 Online School and why they feel that online learning makes them more successful students, watch the video below.